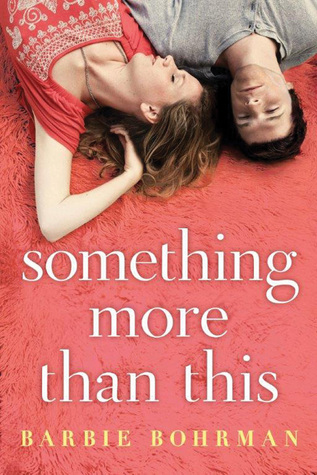 Something More Than This is both a friends-to-lovers story (which is my catnip) and a love triangle (which I am more averse to, traditionally). Katy is a sports writer with a great knowledge of the team she covers and a great best friend in her boss and mentor, Dylan. She’s in a really good groove in life when a curve ball in the form of childhood crush Connor shows up in her life. Signals are mixed, she’s not sure how to be a casual and calm with Connor and is oblivious to Dylan’s feelings (even though us readers aren’t!) and ends up hurting not only herself but nearly everyone else in the process as she stumbles towards her happily ever after. This book is sweet and fun, Katy is a delightful heroine and I was rooting for her to find the worth in Dylan the whole time. It was a bit refreshing to get this trope of old-flame showing up to ruin new life turned on its head a bit – this is the reverse of Sweet Home Alabama in that way. Reese Witherspoon ends up with Patrick Dempsey, as it were. The dialogue in this one sparkles, I found all the characters believable and I would absolutely recommend it to anyone looking for a fun read. For good measure, there’s also some good process-y things about being a reporter in a small town and how Katy navigates being a girl in a traditionally masculine profession. To have rounded out stories like this are always a treat. Beverage wise, you need something a little sturdy to go with the sweetness of the narrative, so I wouldn’t go with anything fizzy or frothy. A solid glass of iced tea is probably the way to go. Association for Women in Sports Media: I would think that Katy is an active member of this organization, full of women in her field who understand her world better than anyone else could. If you’re not particularly familiar with the trials and tribulations of being a female while also being a sports reporter, this interview might help explain. I received a copy of this book from Tasty Tours in exchange for my participation in the tour and an unbiased review.